Learn to meditate and acquire the lifelong mental and physical benefits of working with your mind, body and emotions for a healthier, saner life. A universal, non religious human skill, Meditation enables you to access your strengths, deepest values, intelligence and inherent wisdom by looking inward and getting to know what is going on in your mind. With commitment and support, everyone can learn how to do this lifelong practice which is thousands of years old and now scientifically endorsed by research in Neuroscience. 2. Keep meditation journals and share experiences with each other. 4. Create a do-able practice plan to integrate meditation skills easily into your life. Cost $150 for out of pocket, due in advance to secure your place. If you have insurance, you will be responsible for any applicable company's copay or deductible. This is a closed group that will run for 5 weeks. The cost is $200 for the complete series. Women’s Circle: Now is the Time Claiming Our Wisdom, Power and Authenticity for Women in Maturity, 50 and up. This group will open and explore the unbounded potential of mature women to live with the full integrity and self authority that eludes so many at other life stages. Every life path a woman takes eventually can arrive at the physical and mental challenges of isolation, anxiety, declining health and loss of self worth. These are real and tangible issues but they can be met and managed by harvesting the far greater fruits of long life: the knowing intelligence, the gathered wisdom, and the hard won experience of life’s trials and blessings. Today, women can have 10 to 40+ active years after career and family roles have been fulfilled. Now is the time to shed our limiting beliefs and old habits for the opportunity to live a new stage of life, to choose a new direction, career, or long forgotten dream. With courage, wit and care, we can now claim the freedom to speak and live according to our deepest truths. Join this Circle of Women to find the support and inspiration for your changes and new horizons so that these can be some of the most meaningful and rewarding years of your life. This group will be led by Rebecca Narva, certified Hendrick’s Life Coach, Nia Technique Black Belt Instructor and certified Meditation and Mindfulness Instructor. We can explore modalities of discussion, journaling, movement and mindfulness practices to enrich our growth and empowerment. 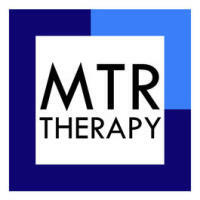 Meeting every other week at MTR Therapy, 201 South 18th St. Suite 204. Dates and time to be announced.